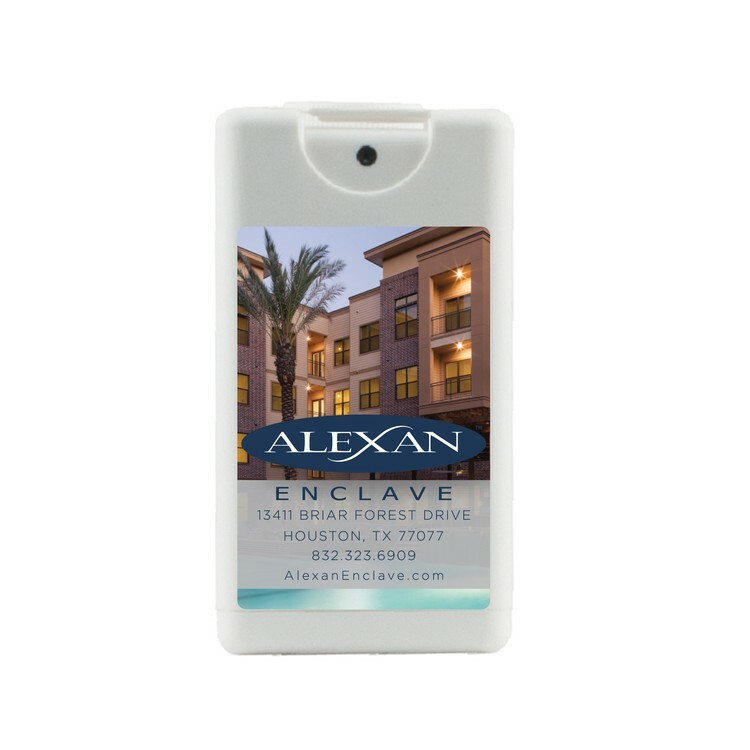 This unique anti-bacterial, instant hand sanitizer sprayer is shaped like a credit card. Price includes a 4-color process laminated decal or a 1-color direct imprint. Lamination protects your investment. Comes in 15 ml. translucent or white case. Contains 62% alcohol. All alcohol based sanitizer is shipped according to the DOT Hazardous Materials Guidelines for ground and air shipments. For air shipments only, please add $75 per shipping box.